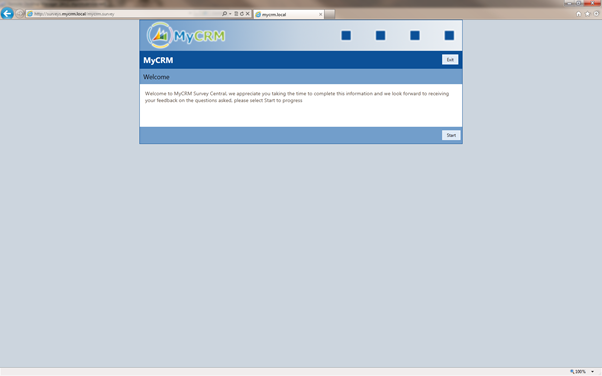 Soon to be released is the latest fully integrated solution for Microsoft Dynamics CRM from MyCRM. eSurvey is a full functional Survey, Poll and Data collection solution that can be used for Customer and Prospect Surveys, Competitions and even has the option to be used for running online Quizzes and Training, resulting in response scores and total scores. Data capture has never been so easy, as all questions can be created in CRM and all responses to the questions asked if stored against the contact. We have taken the opportunity although there are other no so functional options available to extend Microsoft CRM Marketing even further. 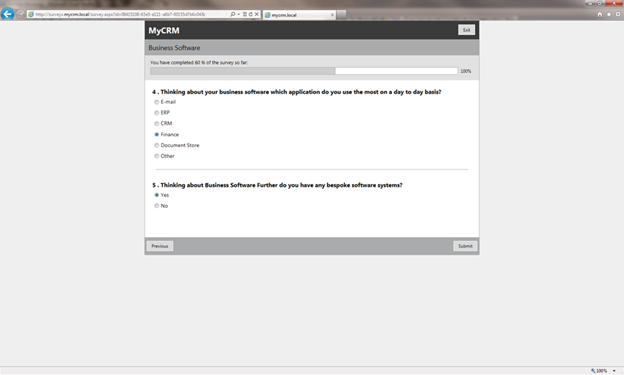 With a drag and drop flexible user interface creating surveys has never been so easy the screen shot details the main survey screen in CRM. With the rise in popularity of Social media and platforms like Facebook, LinkedIn and blogs, you now have the ability to track in CRM where the responses came from. So if you were running a Poll or a Competition on Facebook and LinkedIn you could record the success and data from the individual responses, and trend the response rates. All the Survey responses are recorded directly in the CRM and this is a great way to also record prospect data that has contributed to an individual survey or entered a competition. 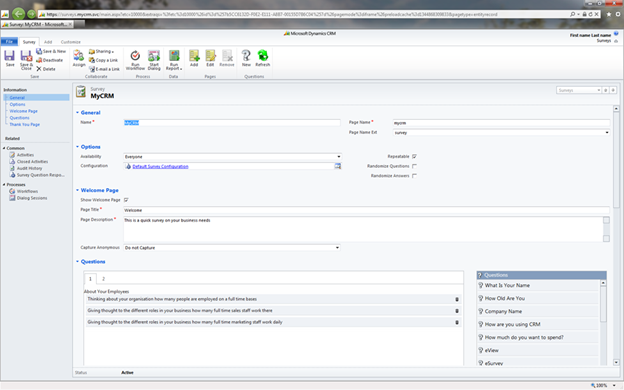 Each of the responses is stored within CRM can be used in workflow, so if certain questions are answered in a certain way then a work flow could trigger a call or an activity in CRM, increasing return on investment and coherence between Marketing and Sales functions within the organisation. 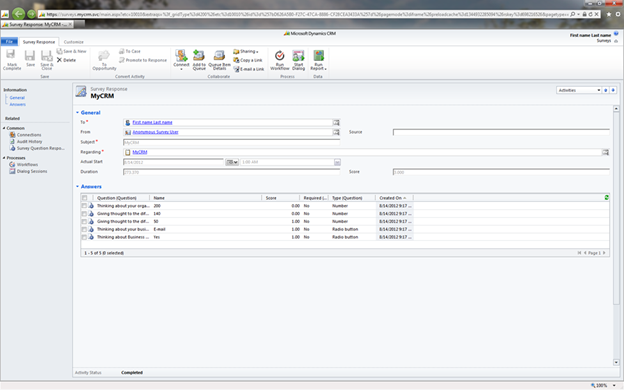 eSurvey will be accessible for demo via the MyCRM Download Centre detailing current on-premise price points for 2012.